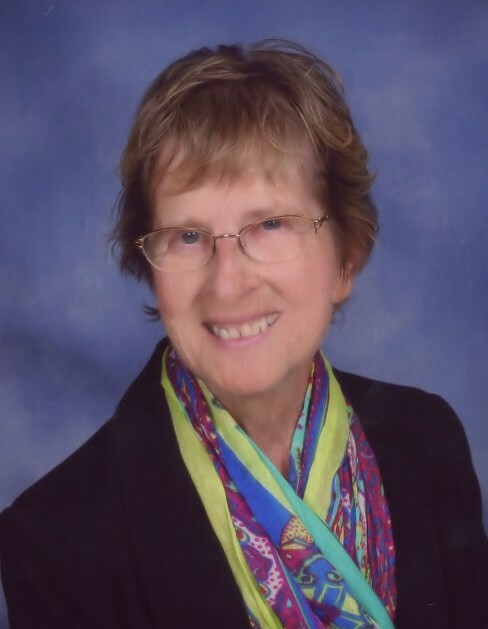 Obituary for Jane (Nowland) Roberts | Stone Funeral Home, Inc.
Jane Roberts, 76 of Pellston, died April 8, 2019 at the Brook in Cheboygan. Jane was born on June 3, 1942, the daughter of Conn and Hazel (Whitaker) Nowland. She graduated from Pellston High School in 1960 and attended Northern Michigan College (now NMU), where she received her nursing degree. On June 16, 1962, she married Joel "JR" Roberts, and together they made their home down state in the Rochester area for several years. The couple relocated to Pellston in 1967 shortly after their second son was born. The daughter they dreamed of soon completed the family, and they remained in their Pellston house throughout the kids’ time in high school. Jane was extremely active in school functions, including being a Den Mother for her boy's cub scout troop and a member of the Char-Em School Board from 1985 until finally resigning in 2019. They were active members of Pellston United Methodist Church and its new incarnation as New Hope United Methodist Church in Levering. Jane was a member of the United Methodist Women's Circle. Church functions were an important part of her and her family’s life, and Jane stayed active in the church until her passing. Jane worked until retirement at Northern Michigan Hospital, including years in OB and the neonatal units. She made many life-long friends of nurses, doctors and staff, and those friends from her years at Little T remained dear to her until the end. The family wishes to thank those amazing friends for helping take such good care of Jane - she really loved you guys! She and Joel sold the house in town and moved to a cozy house on Larks Lake. They made their home there until JR passed in 2012, at which time she moved nearer to family. In her spare time, Jane enjoyed sewing and making custom hand stamped cards for family and friends. Jane is survived by her children, Michael (Mark Sforzini) Roberts of Tampa, Fl., Mark (Angie) Roberts of Levering, and Molly (Larry) Cassidy of Brutus; two grandchildren, Blake Cassidy and Emma Roberts; brother, Steve Nowland of Pellston; and several nieces and nephews. She is preceded in death by her husband of fifty years Joel “JR” Roberts; brother, Donald Nowland; and her sister, Donna Lee Bonter. The Roberts family would like to extend their sincere appreciation to the staff at The Brook in Cheboygan for the exceptional care shown to Jane these last few weeks. There will be a funeral service at New Hope United Methodist Church in Levering on Friday, April 12, 2019 at 11:00 a.m. Pastor Michelle Merchant will officiate. Visitation will take place one hour prior to the service. Interment will take place later this spring at the McKinley Township Cemetery. In lieu of flowers, please consider a donation to New Hope United Methodist Church.